About 42 Political Parties have given conditions which it maintained must be included in the content of the Wednesday final peace accord without which, it threatened to pull out from the accord. The Wednesday final peace accord is expected to be witnessed by former U.S. President, Bill Clinton and Baroness Scotland. 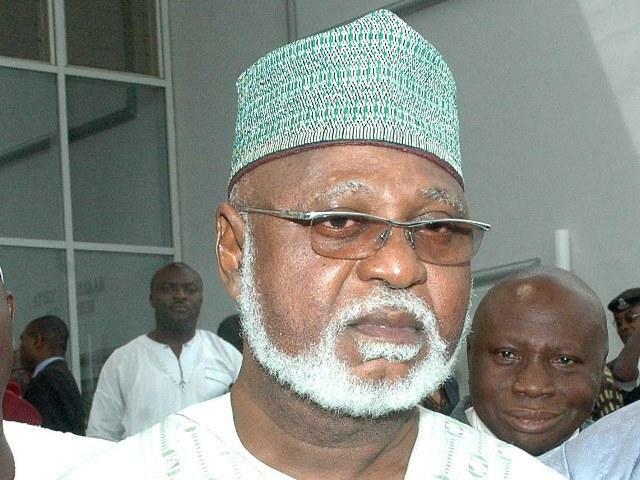 Nigeria’s former Head of state, Gen. Abdulsalami Abubakar is the leader of the National Peace Accord Committee. The parties stated that the conditions are necessary to achieve free, fair and credible election, a departure from what obtained in the Osun State Governorship election. The conditions are: “That it must be included in the accord that the security agencies should not arrest leaders of the opposition parties few hours to election as was done in Osun guber election. The conditions were given in a statement signed on behalf of the 42 Political Parties by Ikenga Imo ugochinyere, Chairman Action Peoples Party (APP); Asiwaju Mashood Shittu, National Chairman, Alliance National Party (ANP); Don Anthony Chukwuma Harmattan, National Chairman, People’s Coalition Party (PCP) and Rt. Hon. Chief Barr. Kenneth Udeze, National Chairman (AA).